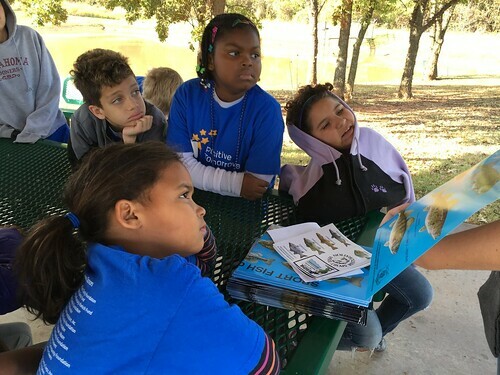 Some of my favorite field trips for my students have involved being outdoors and introducing them to learning in nature. 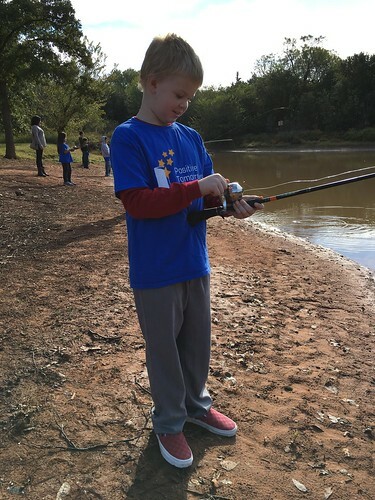 A few weeks ago we went to the Lake Arcadia Education Conservation Area, and had an opportunity to teach our kids how to fish. 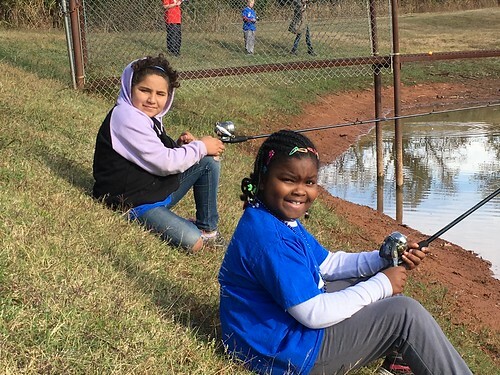 This was the first time some of my students had ever been fishing. One student’s mother told me this had been her son’s lifelong dream: To go fishing. He didn’t end up catching a fish that day, but his brother did. Our “character word” for that week had been patience. Fishing proved to be a great activity to discuss patience and to practice patience, having to wait for exciting things! We learned about digital photography during the field trip thanks to a grant through the Udall Foundation “Parks in Focus” program, and students each had opportunities to take their own photos. OKC Good put together a wonderful, four minute video about our field trip and our school. Check it out! I posted 13 photos from our field trip to a new Flickr album. I love outdoor education! I wish all students at every school had opportunities to learn and just experience nature the way our students can at Positive Tomorrows. One of the best things about outdoor field trips like this is that students can repeat similar experiences with their families for little or no cost. Of course transportation is always an issue, but unlike activities which require an admission fee, enjoying our local parks and natural areas are affordable outings for everyone.